The best part? 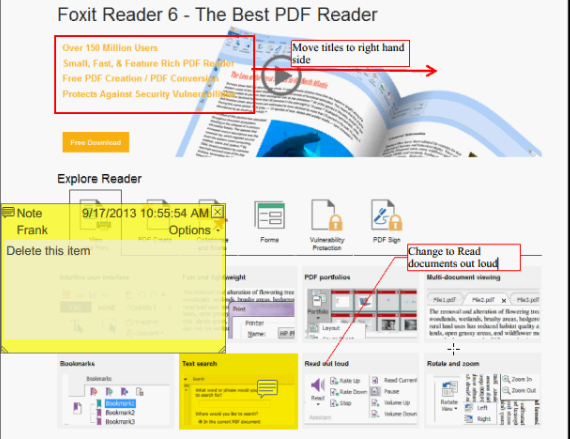 Even Foxit Reader offers annotation capabilities. Plus Foxit PhantomPDF™ Standard and Business offer even more. You’ve got a wide selection for creating annotations in PhantomPDF. You can type a text message or add a line, circle, or other shape to make comments on the PDFs you’re reading with Foxit PhantomPDF commenting tools. You can also edit, reply, delete, and move the comments with ease. And you can quickly view all the comments in the document in a list, or even import, export, and send comments as a Form Data Format (FDF) attachment via email.